The annual retail inflation slightly eased in January to 5.07 per cent from the 17-month high hit in December, as food prices ebbed, data from the Ministry of Statistics showed on Monday. Based on Consumer price index (CPI), the inflation was at 5.21 per cent in December -- a 17-month high, and 3.17 per cent in January last year. On the other hand, the growth of India's factory production slowed in December to 7.1 per cent from a rise of 8.80 per cent in November and a 2.4 per cent increase in output during the corresponding period of 2016-17, the report showed. The data released by the Central Statistics Office (CSO) showed that the rate of price rise for consumer foods eased to 4.7 per cent in January, from 4.96 per cent in December. 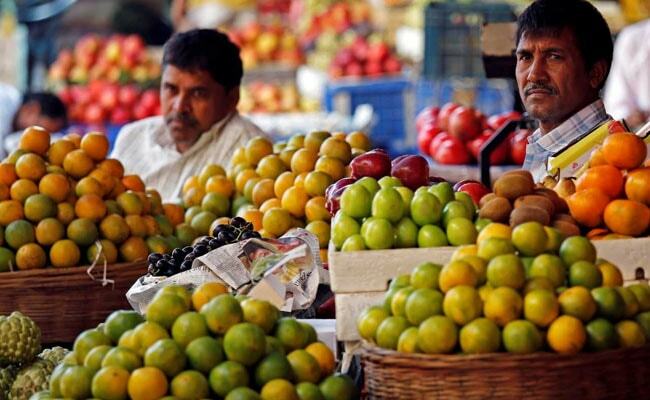 Inflation in the vegetable basket slowed to 26.97 per cent as against 29.13 in December. Prices of fruits too rose at a lower pace of 6.24 per cent last month, as against 6.63 per cent recorded in the preceding month. For the fuel and light segment, inflation was 7.73 per cent last month compared to 7.90 per cent in December. Price data are collected from selected towns by the Field Operations Division of NSSO and from selected villages by the Department of Posts. However, analysts polled by Reuters had forecast January's consumer price inflation to ease to 5.14 per cent from December's 5.21 per cent. Meanwhile, Reserve Bank of India (RBI) on Wednesday held the policy repo rate at 6% as the central bank's Monetary Policy Committee (MPC) raised the estimate for fourth-quarter inflation and flagged concerns about the future outlook for price gains.